Home » Posts » Blogs » Can I have Laser Eye Surgery if I Suffer with Diabetes? Can I have Laser Eye Surgery if I Suffer with Diabetes? In the developed world, diabetes is becoming a major problem. In some instances leading to death. The UK is no exception. In 1996, the number of individuals diagnosed with a form of diabetes stood at around 1.6 million people. This number has increased steadily over the years to 2.6 million today. Many experts believe that by 2025, the figure will be around the 4 million mark. With this sharp rise, comes the question: can a diabetic person undergo laser eye surgery, or is it too risky? Happily the answer for many diabetics is yes. Typically, if you suffer with type 1 or type 2 diabetes receiving surgery should not pose a problem. Providing your blood glucose level and your refractive measurements are stable, then you should be OK to have vision problems corrected through laser eye surgery – either LASIK or LASEK. 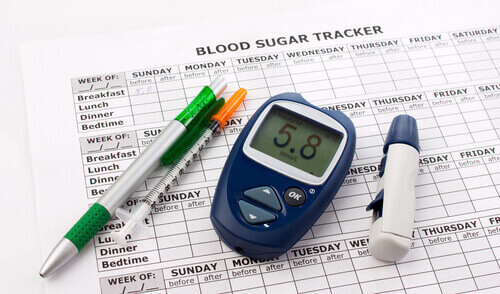 If your diabetes is more extreme then issues may arise which prevent you from undergoing surgery. The importance of regular eye tests for diabetic sufferers cannot be overstated. Optometrists can assess your eyesight and discover whether or not you are developing diabetic retinopathy. Diabetic retinopathy is the name for damage caused to your retina through diabetic complications. Sufferers of the condition notice a loss of vision and this can lead to more serious issues. The longer you have diabetes, the more chance you will develop diabetic retinopathy. Like most conditions, early diagnosis can help to slow down the progression of diabetes and the onset of diabetic retinopathy and so preserve the integrity of your eyesight. Therefore, it is a good idea to have regular eye examinations even if you are yet to experience a problem. Whether you are a diabetic (This includes type 1 or type 2 sufferers of diabetes) or not, the first step is to put you through a thorough eye examination to decide whether or not you are suitable for eye surgery. Therefore, it is in your own interests to make an appointment. You may never have to wear glasses or contact lenses again after your surgery. The examination is performed by your choice of an experienced optometrist or one of our eye consultants. As well as laser eye surgery, some diabetic suffers may be suitable for intraocular lens treatment. As with all forms of eye surgery, this will be decided during your comprehensive assessment. Here, your eyes are tested and a consultant decides whether or not you are a suitable to undergo eye surgery treatment. For more information on diabetes and your vision correction options with Advanced Vision Care, then why not call AVC TODAY on 0800 652 4878 and request your free information pack or book your consultation to find out how we can help you.